Joe Baker, the co-owner of Jet Graphics is on record stating that the delivery craze has expanded into the Freeland, MI area. He goes on to say that even though many customers in the area have been known to shy away from things that seem too elaborate or expensive, branded vehicle wraps have remained a popular client request. Coco Loco, a local Mexican restaurant in the area was initially willing to follow on a lead from a competitor, but they instead chose to go with a reference. JET Graphics had just started offering branded vehicle wraps as part of their service package, after being away from the field for a period of eleven years. Jason says that although he grew up creating such signs, his return to the field coincided with the increased availability of the wide-format printers. But together with his wife Tiffany Silver, they were increasingly motivated to ensure that they introduced these wraps immediately. To get him started, Jason had to take a whole day class provided by his signs supplier. Here, he practiced on different items ranging from trailers to hockey helmets, and refrigerator doors. Later on, he got to take a class provided by Justin Pate, which introduced him to deep contours and vehicle bumpers. For Jason, the Coco Loco Van was the ideal learning instrument as it was flat, making his first full wrap very easy. He used a wall painting from the restaurant as the background, while the restaurant’s website acted as the logo. Despite this being his first full wrap, the client was happy with the work done, and no revisions were requested. He normally deals with different clients, where some bring him already designed artwork, and others let him do the design work. To enable them to come up with the branded vehicle wraps, JET graphics relies on Flexi Cloud and Photoshop for all their design work. To further prove that this craze is really spreading, Lenny and Joe’s Fish Tale, a restaurant based in New Haven, CT and which has been operating since 1979 recently purchased a food truck. To have their truck wrapped, they reached out to Merritt Graphics after receiving a referral. Pat Freer, the vice president of Merritt Graphics believes that this is a pattern that will continue to grow, where many food manufacturers and brick and mortar restaurants are branching out to food delivery by purchasing food trucks. For Lenny and Joe’s, Merritt Graphics was able to provide them with an appealing advertisement carved out from their existing logo. For Pat, he believes that the biggest challenge in completing such a project lies in being able to create a good graphic depiction and fitting it into the body of the truck. He goes on to state that it is important to get a good upstream view of that vehicle and its design. It is also important to photograph it and take all the necessary measurements. 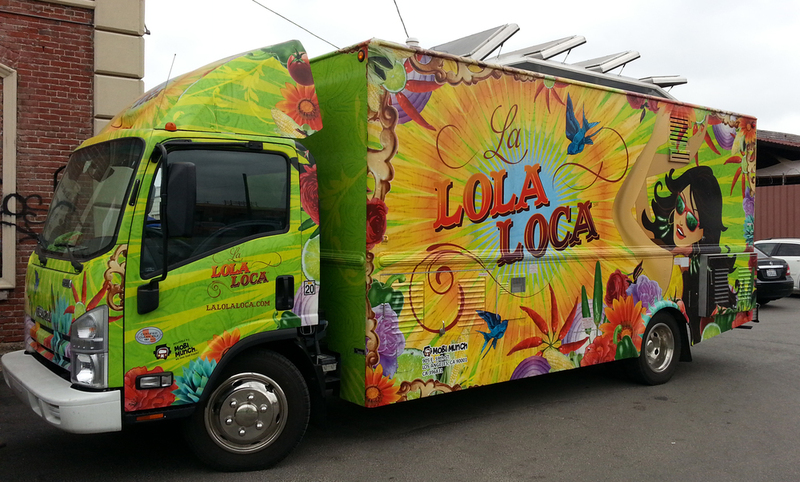 To complete the wrap for Joe and Lenny’s, Merritt Graphics relied on their HP LX 850 printer to get the job done. Their clients could not be any happier. By using their truck to traverse the state, they have been able to bring in more customers to their restaurant. More and more folks are requesting Jon and Lenny’s to make deliveries to events that they are organizing.